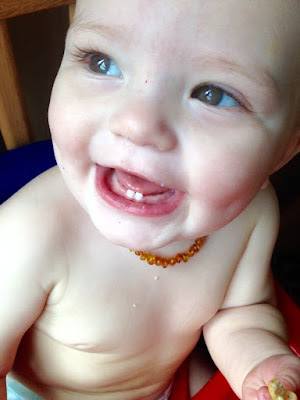 Life Through My Eyes: Amber Teething Necklaces - Do They Work? 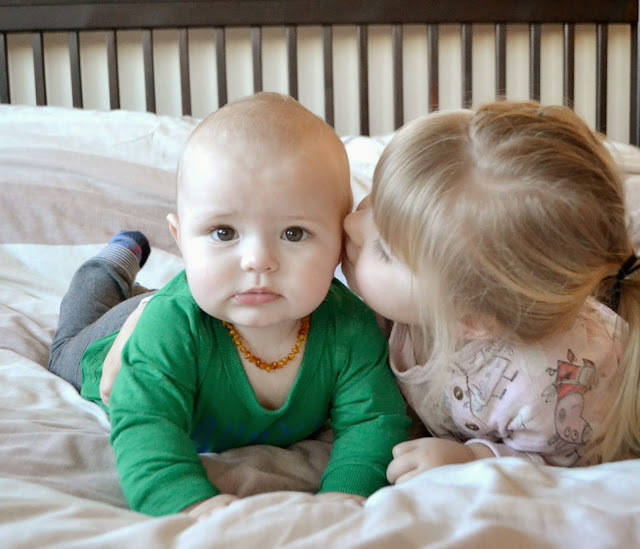 Amber Teething Necklaces - Do They Work? I've asked myself the above question many times over the last few months and to be completely honest I have no idea of the answer. I first got Parker an amber teething necklace when he was around 5 months old. I wanted to wait to write my thoughts until I knew exactly how I felt about it but 6 months and 8 teeth later I still have no idea. Parker got his first two teeth a couple of weeks after we started using the necklace. Up until the time we got the necklace he was dribbling up a storm so we knew teeth were on there way. Once he was wearing the necklace the dribbling reduced and then two weeks later the teeth popped through. Parker wasn't fussy and was his usual calm self, we had one night where we he was awake for a couple of hours but that was it. We didn't even realised he had cut two teeth. The next two came around 3 months after and the following one around 2 weeks after. He was super dribbly with bright red cheeks. He was a little fussy but we've so far only had to use teething gel. The rest of teeth have come through without a problem. He is a little grumpy when they are close to breaking through the gum but that's it. I have slacked a lot with the teething necklace over the past couple of months and Parker hasn't worn his necklace in quite a while but if I notice him getting extra grumpy I will pop it on. Does it help? I have no idea but it seems to. Its one of those things that if didn't Parker wear the necklace one day and was grumpy I'd pop it on him but the next day he could also be grumpy even though he was wearing the necklace. If he wasn't grumpy the following day after wearing the necklace then maybe it was just coincidence. I don't regret buying it for him and I think I would buy another if we had another baby. I do think they worked better when Parker was younger. To this day and 8 teeth later we've only had to use teething gel a handful of times and 99% of those times were during the night. I would always take his necklace off when he slept. I think the necklace looks quite cute but Mark isn't a fan of how they look and family members are very sceptical as to whether they work or no. Neither Paige or Parker have being particularly grumpy at cutting teeth so I can't really compare them to tell if the necklace worked or not. I'm still so undecided about amber teething necklaces but I know that a lot of parents swear by them, I'm just not sure if I'm one of them. But I'm defiantly not against them. Have you tried amber teething necklaces? I used one with Kitty and It seemed to help, Elma was 11 months before her teeth appeared and she wasn't bothered by them so I didn't bother. I think if it can only help then why not. I have never tried an amber necklace but if i had bought one for M I would have sung it praises thinking it was great because we have only had 2 days of restless sleep from M so far due to teething (16 months and 6 teeth). 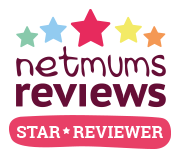 I think a lot could deb down the individual baby but we haven't really had to use anything with M so far (including teething granules or calpol).